CG artist Alex Threlkeld created these images of a Nostromo passageway, and he did a really nice job of it! 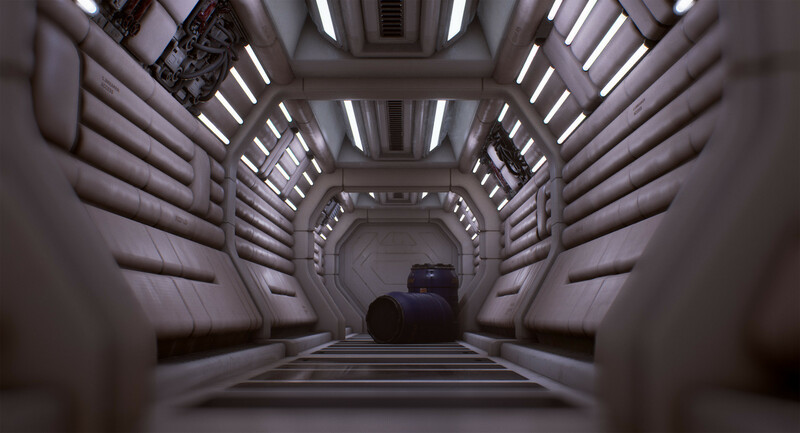 Fan Art Environment In UE4 of a hallway from the 1979 movie Alien. Textured Entirely with Quixel suite. Environment modeled in Maya. Previous Meet Mike Tanaka, with ALIEN: Isolation art by C.A.W.